Was it just me or did Bruno Mars in Prada look very Erik Estrada? Are you old enough to remember eating Hostess chips from a paper bag and watching this man on CHiPs? See all Met Gala 2012 posts. I have a dozen stories in my head – more to come tomorrow. 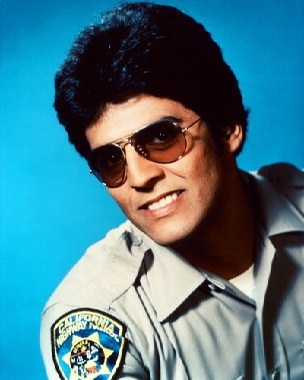 Erik Estrada image courtesy of Amazon.fr; Mars photo by Dimitrios Kambouris, Getty Images.